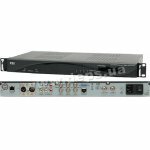 PBI DCH-4000P is a line of universal high-end digital receivers. 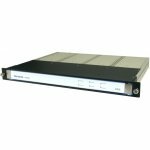 Depending on model, receivers of this series can be equipped with various combinations of inputs (ASI, IP, QPSK, QAM, COFDM, DS3) and outputs (CVBS, SDI, ASI, DS3, and IP). Models equipped with relevant IP output can be used for video streaming over TCP/IP networks. In this series, remote control and monitoring of devices are realized via SNMP or HDMS software. 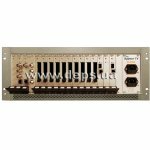 The DCH-5100P IRD and Processor provides operators an ideal solutions for receiving, remultiplexing, descrambling and decoding operators. 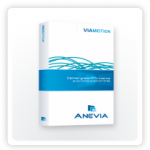 Equipped with a variety of inputs that ensures compatibility with all transmission media. 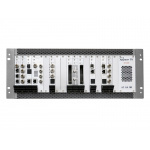 The DCH-5100P’s remultiplexing capabilities enable creation of new transport streams that are subsets of the original stream. Customized services may be output as multiple SPTS or MPTS over IP, as well as ASI. By the dual DVB common interfaces, DCH-5100P could decrypt multiple services in one transport stream or two. 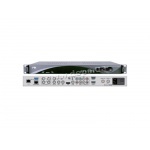 DCH-5100P is also a professional IRD that features a broadcast quality decoder for MPEG-2 and MPEG-4 AVC/H.264 in both Standard Definition and High Definition formats, and provides a variety of industry standard digital and analog outputs, including CVBS video, AES/EBU Audio, analog Audio, SD-SDI and HD-SDI. The unit also performs HD down-conversation and aspects ratio adaptation of HD programs to generate professional quality baseband analog video and audio outputs for easy integration with existing cable network infrastructure. 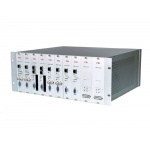 This all-in-one architecture makes the DCH-5100P an ideal product for distribution and contribution networks. 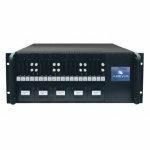 Equipment designed to receive the television and radio channels from all available sources – with subsequent descrambling and broadcast to IP network.